There are safe ways to make money from the internet which brings good income to those who are engaged in it. It very legitimate money making program.Unlike the risky ways which prove to be the quickest and fastest but may be dangerous and you end up losing your earned money. 3. Micro Job Sites: This is very reliable, it involves working and selling your services online for a specific amount of dollars($). For example, You sell anything for $5 on fiverr and other micro jobs site which pays. There is no scam here,its your effort and skills that works here and get paid for successful completion of a gig. 4. Adsense: Making money through Adsense may not be fast, but its very safe and reliable. 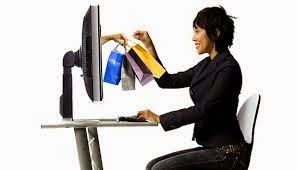 I currently recommend this to any body who wants to work and earn online. It grows with time and patience coupled with the traffic involved here. 5. YouTube: Its the safest as we speak now, i also see this as the easiest among all the safe methods to earn money. Just create videos, generate traffic to it and register and monetize the video with any online advertising program you know. You can also earn extra buy creating videos for other people and get paid for doing so.